Cinnamon Apple Pie Toasted Sandwiches! The idea for this struck me the other night when the Stroppy Teen had asked “what’s for pudding?” in that way he does, before anything savoury has passed his lips at the dinner table(do ALL teenagers do this? It’s beyond infuriating)! It was only until he got in today that I actually tried it out. Much to his amusement, here I was offering a sweet treat well before dinner time, not the norm by any means! I keep telling myself it was/is all in the name of “research” and that tomorrow it’s back to a sandwich or apple for chomping after school. Sometimes you just “need” a piece of apple pie don’t you? Thought so. 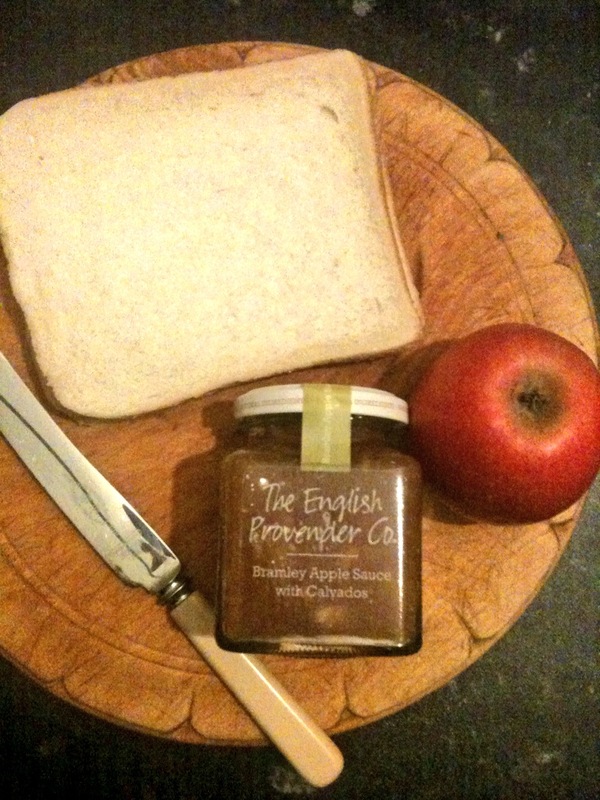 Well, if you’re stuck for such a thing and without the time to get to the supermarket/bakers/your Granny’s to get one fear not, I you have a jar of apple sauce in the cupboard, some bread, butter and spice you are a go! It’s great if you happen to have a fresh apple kicking around too, but this is totally do-able without it, I just think it adds a bit more crunch and taste but I wouldn’t not make these just because I am apple-less. Spread one slice of bread with a generous layer of apple sauce. Chop up the apple, if using, and place small pieces o the apple sauce. Place other piece of bread on top of that. Press the top bread at the edges all around the edges to kind of “seal” them together. 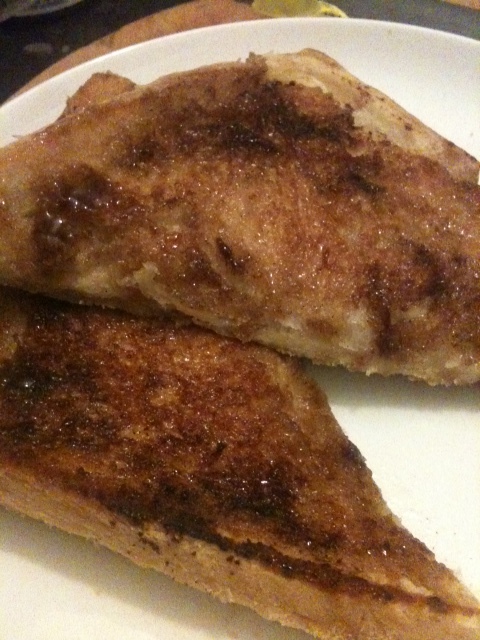 Butter the top slice of bread a sprinkle with soft brown sugar, then some cinnamon. I like it very cinnamony but do this to your taste. Press sugar down on to the bread lightly to adhere to the butter. Carefully butter and sugar the other side. If you think you might even burn yourself at this point, then please do this part when the heat is off also. When cooked put on your plate and wait at least 5-10 mins! these are hot-Think McD’s apple pie hot!! I tried to eat my piece before I should have and burnt my tongue. Don’t be me, wait it out. Be warned. These are so darned tasty I might just have to make them again for pudding tonight too.